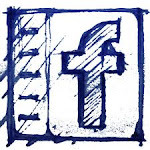 It's time to FALL back into blogging. I owe an apology to my readers for my absence from the DIY scene. 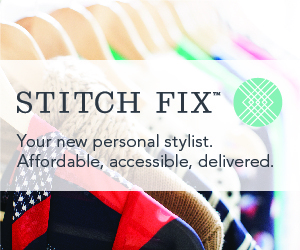 I am dying to start DIYing again, it's just that I haven't had much time for projects between my full-time job, motherhood and being a wife. I've also been fishing for ideas, sanity, and balance. 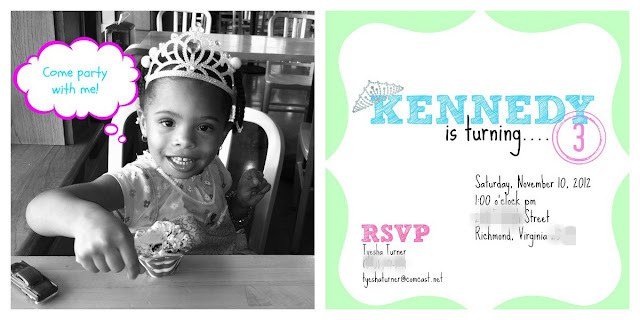 The DIYer in me kicked in and I decided to make Kennedy's invitations myself using PicMonkey and they turned out great! 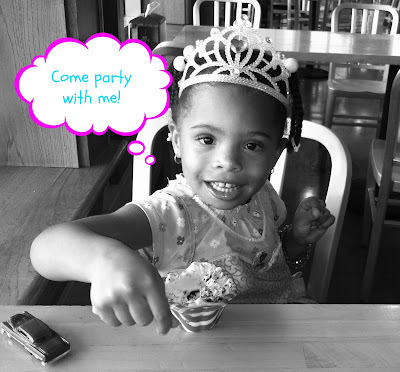 Using PicMonkey I uploaded the picture of Kennedy that I wanted to use for the invitation. Using PicMonkey I did some editing, making the photo black and white and adding a comic bubble. Then, I simply went into PicMonkey and used the collage feature and combined the two photos and voila! I went to Wal-Mart's photo center and uploaded the photo onto a blank 4 x 8 photo invitation card that costs around $0.48 each and had them printed on matte paper and waited an hour and that was it!